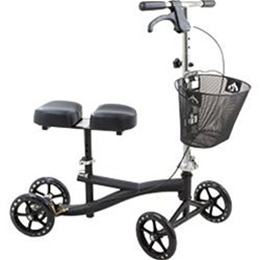 A knee walker (often referred to as a knee scooter or a platform walker) is a three or four-wheel walking aid that provides a unique alternative to standard walkers, canes, and crutches. Knee walkers allow users to propel themselves with one leg, while the other rests on a support platform. 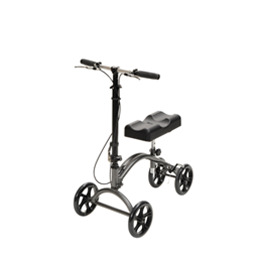 These devices are ideally suited to individuals who find it difficult or impossible to bear weight on an temporarily injured or permanently disabled leg.